Keep all of your makeup, toiletry supplies or grooming tools safe when you’re on the go with the Dog Selfies Toiletry Travel Bag. This convenient travel bag features a premium 100% cotton fabric featuring dogs smiling on the exterior. The interior features cream color paw prints and reinforced sides for firmness and structure. 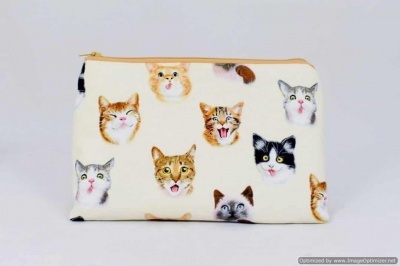 It's also the perfect spacious bag gift for traveling pet parents and professional groomers. Put just about anything into this bag that you need to keep safe inside an enclosed zipper pouch–makeup, medicines, electronics chargers, dog essentials. Whatever you need, bring it with you in this beautifully-designed and machine-washable bag. Most of all, it's the best dog gift you’ve ever seen. Multi colors. 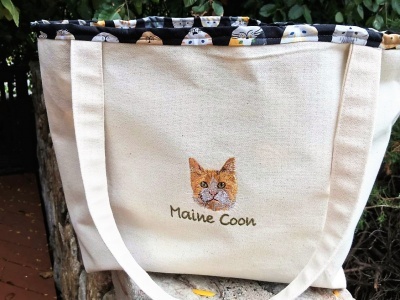 Personalized, Cat Breed Tote Bag. Your favorite cat breed embroidered image on a hand-made, XL OVER-SIZED heavy duty 100% Natural Canvas fabric tote bag, lined in cat novelty fabric. Your Pet’s name is added to the design FREE for a very personal touch or you may order your sac with the breed name. 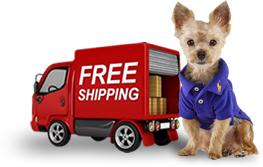 This is a very unique pet dog gift for dog lovers. Use the tote bag anytime you need an extra large bag.